Colorlines’ ongoing series Life Cycles of Inequity explores facets of the Black male experience in the US. 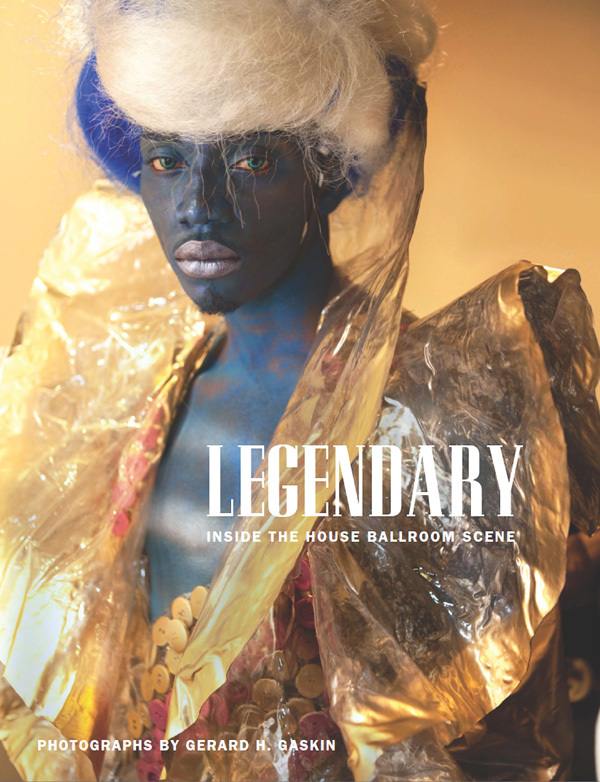 This article and photo series by Kai Wright and Gerard Gaskin (first published in September 2014 on colorlines.com) take us inside the culture of house balls, underground events where gay and transgender men and women, mostly African American and Latino, come together to see and be seen. The images come from Gaskin’s 2013 book ‘Legendary. Inside the House Ballroom Scene’. Gerard Gaskin: “Legendary. Inside the House Ballroom Scene”. Hip-hop is not the only place where young black artists deeply influence mainstream culture and entertainment—and do so without recognition or pay. Pop artists have for decades appropriated the style, dance and sound generated inside the black and Latino LGBTQ community’s house ballroom scene. From Madonna’s 1990 “Vogue” to the Scissor Sisters’ 2012 “Let’s Have a Kiki,” the creative teams of Top 40 performers have consistently mined the scene for inspiration. Photographer Gerard Gaskin’s 2013 book, “Legendary: Inside the House Ballroom Scene,” chronicles the New York City ballroom scene itself with intimate portraits he began recording in 1994, not long after the balls first poked into broader view through the 1990 documentary “Paris Is Burning.” Filmmaker Jennie Livingston’s documentary itself frustrated many within the scene, Gaskin included. “I’ve always kind of battled with the idea of whites coming in to do a documentary and their point of view being the strongest,” Gaskin says.